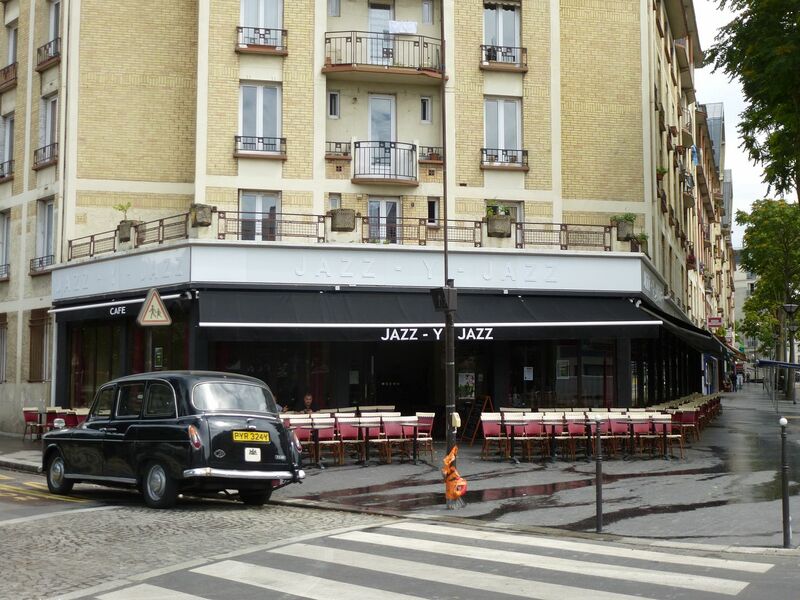 We have found a new restaurant/lounge in Paris called Jazz-Y-Jazz and it is huge!! It seats 150 inside and 160 outside. Food is really good and atmosphere is very friendly. It is located at the corner of Avenue de la Porte de Montmartre and R. H. Huchard, in the 18th. 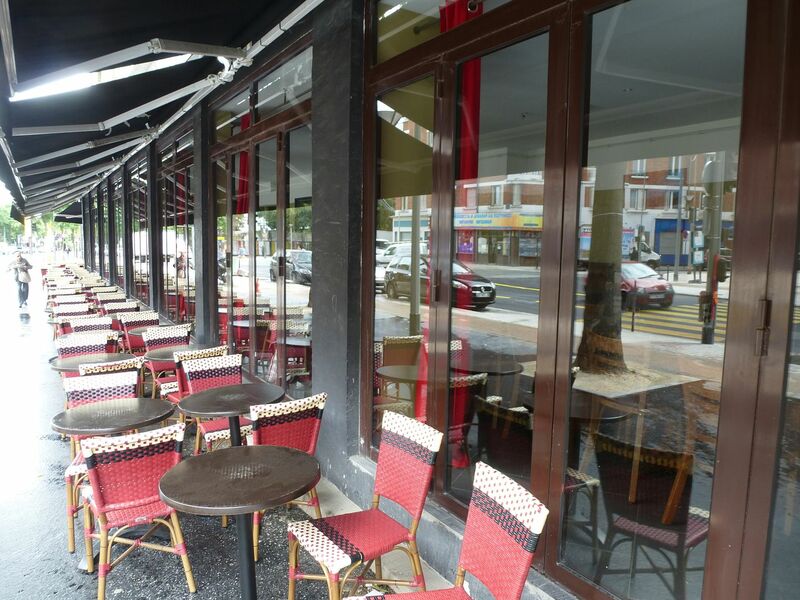 The address is 13 Avenue de la Porte de Montmartre. If you are going to the St. Ouen Flea Market, this would be a great place to rest after a day of bargains. The owner speaks English, French and Japanese. Are you sure that is the name? Couldn't find it on Google, even using the address you gave. Street view only showed a post office. Things are changing fast in the northern 18th. Probably because it is a cheap jazz venue, which is sorely lacking in Paris (expensive jazz venues exist in profusion). I had to go by there today, so I took a couple of pictures of it. Looks nice. I also noticed that it is right next to the Petit Ney, one of the prime literary debate cafés of northern Paris. Bookmarking to check out on my next visit. Thanks for the info. Ira are you being Yogi Berra who once allegedly said "Yeh nobody goes there anymore it's too popular"??? Anyway, no music until at least 18:00 from the sign I saw. It doesn't look very busy. What time did you take those pictures Kerouak? This was at 3 pm. I saw two people sitting outside but I don't know if anybody was inside. When the free Jazz starts, it gets full really quick. You are expected to purchase a libation of course. Food is basically standard brasserie food with a little twist and mine was good. He does have a chef on premises, so that is a plus. Looking on Google, you will see, at least I did, an old fish market (Poisson. He has remodeled it into a nice restaurant in the last year and a half. You cannot rely on Google Maps. Often street view is actually the opposite side of the street (as for the address mentioned). When using Street View, check the date. In this case - 2008!